NOTE: The Law Offices of Bing I. Bush, Jr. provides the following links as a service and takes no responsibility for, nor guarantees the accuracy of any claims made by the sites you may visit. Agricola Good data base for health issues. It's free and a part of the USDA site. Has very good veterinary information and utilizes sophisticated boolaean search operators. Animal Poison Control Center Located at the University of Illinois at Urbana-Champaign, the National Animal Poison Control Center (NAPPC) is a non-profit service of the University of Illinois. It is the first animal-oriented poison center in the United States. Consultant Brought to you by Cornell U. Searching in consultant is built around selecting a species and combining the species with a diagnosis key word or by entering one or more keywords together with a species to arrive at a possible diagnosis. Search results include a description of diseases or problems and a list of recently published articles on the topic. Consultant also provides links to other Web resources. Developmental Orthopedic Diseases (DOD) Brought to you by the U. of Nebraska, it describes and discusses management techniques to prevent orthopedic disease in horses. EPM This page is produced and maintained by Clara K. Fenger, DVM, PhD, DACVIM as a service to my fellow horsepeople and scientists. Equine Airway Disease Research brought to you by Michigan State University. Grayson-Jockey Club A research foundation that issues $500,000 in grants each year. Results of these research projects are accessible to all horsemen. Horsemen's Advisor Articles on horses diseases and equine treatments for equestrians and veterinarians. IAEP International Association of Equine Practitioners & equine professionals. Internet Grateful Med Offers both Old Medline (pre 1966) and Pre Medline (articles that have not yet been fully indexed or added to the Medline database. Also offers a User's Guide which provides basic information for the novice user. Lameness A program designed to make you think through the process required to diagnose a lame horse. Laminitis Info Online A great site full of useful and educational information. McPhair Dressage Chair The McPhail Chair at Michigan State University's College of Veterinary Medicine was established by a donation from Mary Anne and Walter McPhail. Their intent was to create a center for research into all aspects of the relationship between veterinary medicine and dressage performance, with special emphasis on prevention and treatment of lameness problems. Net Vet Links to other veterinary resources. Sport Horse Medicine A group committed to providing educational materials and veterinary services for owners, trainers, farriers, and veterinarians working with athletic horses. Sport Horse Radiology Discussions on pre-purchase exams and other radiology related issues. Uncover database Tables of contents from journals covering many areas of veterinary and animal interests. World Equine Health Net The equine practitioner�s one-stop information headquarters. WEHN offers its members the most relevant and current equine veterinary information available through a variety of resources. Virtual Veterinary Center Long list of resources in four categories: Dictionaries & Glossaries, Literature and Patient Searches, Online Journals, and Veterinary Schools. British Equine Veterinary Assoc. Anyone can read its newsletter online. Best of Care category contains an excellent summary of equine health care. 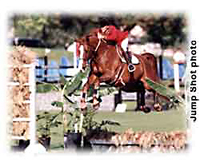 Sport Horse Medicine Archived answers to owners' questions and you can post your own. Good material in the Vet Category. Morris Animal Foundation Horse News link. Articles related to studies of 1999 & 2000. Oklahoma State University Valuable online material & publications along with reports of research. Kids to The Cup Organization that gets kids involved in racing and actually takes them to major stakes races around the country. California Thoroughbred Breeders Association (CTBA) California based Thoroughbred Race Horse Owners Organization covering breeding issues. Thoroughbred Owners of California (TOC) California based Thoroughbred Race Horse Owners Organization covering racing issues. Richard Ulbrich's Site Pedigree guru & author, details on historical thoroughbreds. Barretts Located in Pomona California at Fairplex they hold sales year round. Keeneland Largest sales company in the world. Annually sell the top bloodstock. Fasig-Tipton Oldest sales company in the US. Conducts auctions in Kentucky, Texas, Maryland, Florida and New York. Their select yearling sale at Saratoga New York in August is their premier sale. Ocala Breeders Sales Company Located in Ocala Florida, they conduct sales year round. Fasig-Tipton They only conduct one sale in Florida, a 2-year-old sale in February at the Calder Racecourse. Tattersalls UK Leading UK sales company. Tattersalls Ire Irish sales company. Goffs Ire Leading Irish sales company. Deauville French sales company annually holds a top yearling sale at the famous seaside resort town. Italian National Thoroughbred Breeders Association Breeders Association which conducts sales. Tranquility Farm Saves and rehabilitates former Racehorses and makes them available for adoption. California based. United Pegasus Foundation Saves and rehabilitates former Racehorses and makes them available for adoption. California based. California Equine Retirement Foundation Saves and rehabilitates former Racehorses and makes them available for adoption. California based. ReRun Saves and rehabilitates former Racehorses and makes them available for adoption. Kentucky based. Equine Rescue Network ERNi is a nonprofit organization incorporated in the State of Maryland to prevent the abuse of equines through education and by supporting and fostering the growth and effectiveness of equine rescue organizations throughout the United States. Horse of Connecticut Dedicated to the rescue and rehabilitation of abused and neglected horses. Rescuers.com California's Online Directory for dog, cat and companion animal rescue. The Horse Magazine A publication dedicated to Equine Health. Thoroughbred Times Weekly publication for Thoroughbred Industry news and other related articles. The Blood Horse Weekly publication for Thoroughbred Industry news and other related articles. Equestrian Times A one-stop source on the World Wide Web for all the latest news, competition results, and information in Show Jumping, Dressage and Three-Day Eventing, from around the world. DVM: The News Magazine of Veterinary Medicine Articles & News. Veterinary Journal Index A web site of "Veterinary Journals: Tables of Contents." It includes over 100 veterinary Journals with tables of contents added daily upon receipt of new issues in their veterinary library. Arabian Network Newsletter Covers everything "Arabian"
California Thoroughbred Breeders Association California based Thoroughbred Race Horse Owners Organization covering breeding issues. Tennessee Walking Horses Extensive links to information on Tennessee Walking horses and Tennessee Walking Horse farms brought to you by Walkers West Farm. Other equine links also listed. Thoroughbred Owners of California California based Thoroughbred Race Horse Owners Organization covering racing issues. The Icelandic Horse A Non-Profit Corporation Dedicated to Promoting the Icelandic Horse in America. The Haynet Very well organized and large with categories. Has a search feature. LetItRide.com Directory for the Horse Racing and Breeding Industry along with News, Forums, and more. HorseQuest Well organized and large with categories. No search feature. Thoroughbred Times Link Mostly thoroughbred industry links. Equine Directory Well organized with categories. No search feature. Search Horses Very well organized with categories. Has a search feature. Petvets horse links Part of the About.com network. Info on other animals as well. Horsemen's Radio Weekly World's largest equine related radio program covering all breeds and all disciplines. Horse Motels International A directory of overnight stabling for the traveling horseman. Horse Travels Find overnight stabling for the traveling horseman and great information for traveling with horses. KY Horse Park Located in Lexington, KY it is not to be missed. One of a kind facility.